Our Sister Customizable Coffee Mugs celebrate the joy and friendship true sisters develop over time. 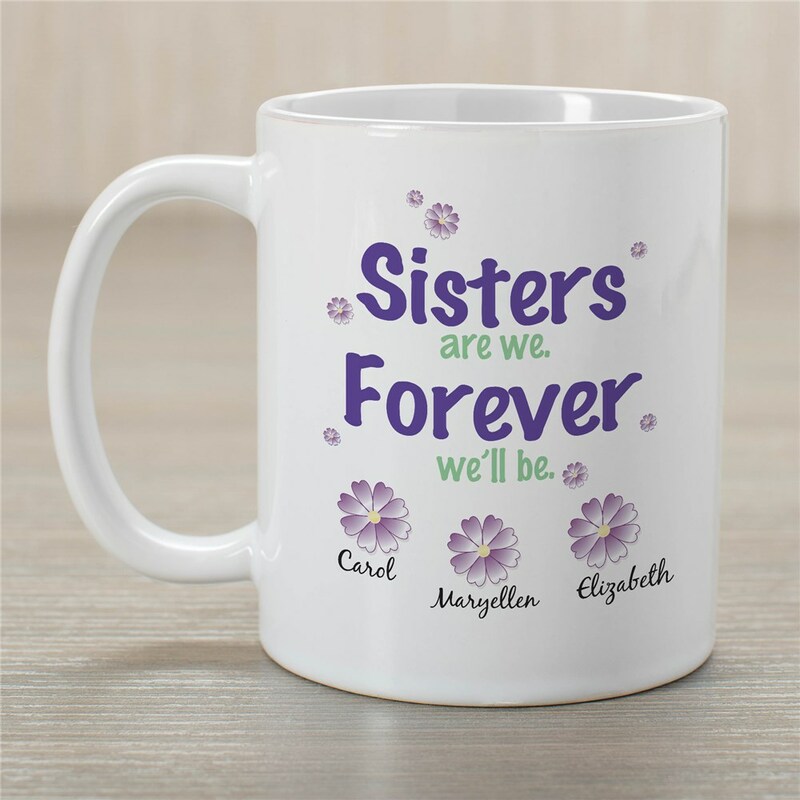 Personalize a Sister Coffee Mug for each of your sisters today. Our Personalized Mugs are Dishwasher safe and include FREE Personalization! Personalize your Sister Coffee Mug choice with up to 12 sisters. Mugs are available in different sizes ranging from 11 ounces to 20 ounces.